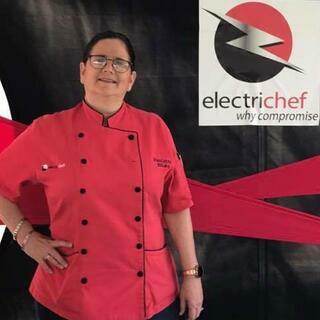 Chef Paulette Bilsky takes great pride in creating an interesting twist to the culinary arts world from Maine to South Florida. Throughout her career as a Personal Chef and Culinary Consultant she has tried to make the preparation of "nutritious and delicious food" fun and exciting. Whether a client is 50 or 5 years old she prepares food that reminds us that knowledge of fresh, natural ingredients mixed with positive energy and love is the winning recipe. She uses her multi-country travel experience and ethnic background (Italian/Irish/ American) to touch on various international and cultural flavors. After graduating from the University of South Carolina (1984) and pursuing a career in politics and real estate, Chef Paulette followed her culinary dream. For ten years she owned Parker’s Coffee & Tea House and Parker’s Cafe. She continued to enrich her culinary interests by graduating from Johnson & Wales University (Suma com laude - Culinary Arts, 2005). She enjoys creating innovative recipes and cooking techniques to help improve the quality of life of her live audiences as well as her exclusive private and corporate clients. Because of her involvement with many sustainable farmers and civic organizations she is a firm believer that local sourced foods provide the best results when cooking. Many have said that her ability to interact with live audiences and share unique kitchen skills makes each of her cooking demos "a don't miss performance!" Chef Paulette’s cooking skills bring her to Mount Dessert Island, Maine as a Personal Chef during the summer months and to Coral Gables, Florida the rest of the year. For the past five (5) years the corporate environment has taken advantage of her local contacts in both the political and business world, she is currently working as a Culinary Consultant to the Home Design & Remodeling Show (Miami & Fort Lauderdale), Coconut Grove Arts Festival Culinary Pavilion (Sponsorship Sales and as a volunteer), and most recently ElectriChef, Milam’s Markets and The Market Company. She is a member of Les Dames D'Escoffier, Vice President of SAFFFE (Save American Farms From Extinction), Culinary Instructor, Camp Beech Cliff, and member of the Coconut Grove Garden Club, First Lady Michelle Obama's Let's Move (Florida & Maine), Slow Food Miami, Art Cares For Kids, Florida Heart Research (Heart of a Chef) and in 2012 assisted over 200 Girls Scouts of America receive their cooking badges with her "Super Foods For Super Kids" Program. 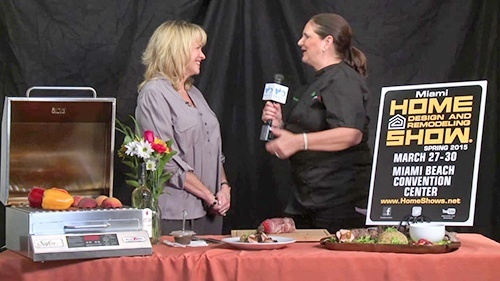 Chef Paulette is ServeSafe Management Certified and has been featured on several electronic and printed media outlets. What's Next? Well, come on and let us show you some of Chef Paulette's mouthwatering creations! Are you in the mood for some BBQ chicken, skirt steak, vegetables, how about some lamb, or better yet let's start with dessert!